The Beatles who? 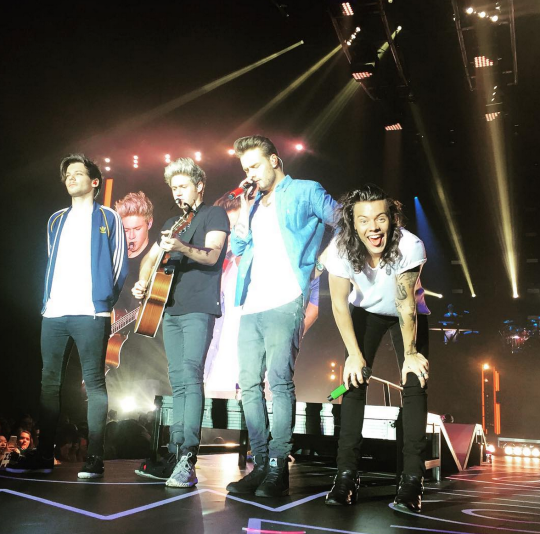 One Direction’s just beaten their record with ‘Perfect’ – MP! Niall Horan barely has any room left on his shelf for all of One Direction’s awards, so here’s one that doesn’t come with a trophy—the band’s single ‘Perfect’ debuted on the Billboard Hot 100 at No. 7 this week, making it their fifth Top 10 debut on the Hot 100. That beats the Beatles’ four (but doesn’t quite reach Taylor Swift’s twelve). Joining ‘Perfect’ on the Hot 100 chart, albeit a little further down, is their non-single ‘Home,’ which comes in at No. 97. Next article Time to get naked. The Urban Decay Naked Vault Volume II is here. Time to get naked. The Urban Decay Naked Vault Volume II is here.